Do you know dogs that are NOT friendly with other dogs? That's generally because they were not socialized well as puppies. Doggie socials are designed to get your puppy socialized around dogs and people at an early age, and then to keep them well socialized through adulthood. Many people take their puppies to puppy class and socialize them as puppies. But then when puppy class is over, the socialization ends. The end result is that over time, your dog becomes unsocialized because he has not had the constant exposure of meeting dogs he doesn't know with good experiences each time. Our Doggie Socials are structured so that puppies through adult, large and small breed all get to continue their socialization. Check out which one is right for your dog below. 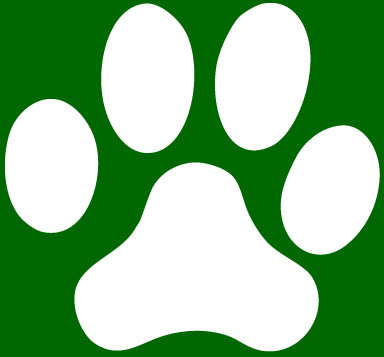 If you are not currently enrolled in class at Best Paw Forward, please bring a copy of your dog's vaccination record showing that the dog is up-to-date on Rabies, Distemper and Bordetella. Dogs must be free of internal and external parasites. All dogs MUST LOVE TO PLAY WITH OTHER DOGS before they can join the adult socials. No Exceptions! For puppies 10 to 20 weeks of age. Come and join us every Sunday evening from 5:15pm - 5:45pm for 30 minutes of puppy socialization and fun. Puppy socialization is a very important part of your puppy's up-bringing. It's what teaches your puppy to get along with other dogs as it grows up and helps him stay friendly with other dogs as he gets older. Puppies must be between the ages of 10 and 20 weeks of age and be up-to-date on both Distemper & Bordatella. Great family fun! If you are not currently enrolled in class, you must present a copy of your puppy's vaccination record showing that the puppy is up-to-date on Distemper & Bordetella. Dogs must be free of internal and external parasites and must be using flea and tick preventative. Click Here to see video from our Puppy Bowl that was held in February. for 1 hour of great socialization and fun. Socialization is a very important part of your dog's life. It's what teaches your dog to get along with other dogs. But like anything else, if you don't keep it up, you'll lose it. Distemper & Bordetella. Great fun! If you are not currently enrolled in class, you must present a copy of your dog's vaccination record showing that the dog is up-to-date on Rabies, Distemper & Bordetella. Dogs must be free of internal and external parasites and must be using flea and tick preventative. (November - April, except Holiday weekends). ALL DOGS MUST LOVE TO PLAY WITH OTHER DOGS! NO EXCEPTIONS!! At this time, we do not offer a large breed social.